Part 1: Jeff Kimpton talks with the authors of "Strings Attached" and Steve Hayden and Dr. Mary Palmer. Part 2 is additional discussion about life lessons that can be drawn from educational and arts rigor. Jeff Kimpton talks with Joanne Lipman, Melanie Kuchynsky, Steve Hayden and Dr. Mary Palmer. 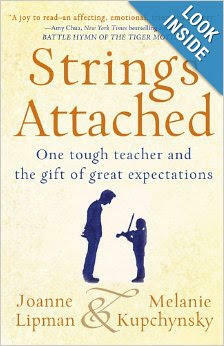 Strings Attached has become an overnight sensation about the role that great teachers play in setting expectations in our lives. Authors Joanne Lipman and Melanie Kupchynksy joined Interlochen President Jeff Kimpton in the studios of IPR during a recent visit to the Interlochen campus. In this interesting and revealing interview, these issues are discussed with the authors and two other national figures: Steve Hayden, former Executive Vice President of the world's largest advertising agency Ogilvy Mather, and Dr. Mary Palmer, dean emerita of the Univ. of Central Florida College of Education and one of the nation's top arts education advocates. If you're lucky, somewhere in your past is that one person who changed your life forever. The one who pushed you to dream bigger and to reach higher, and who set you straight on what matters in life. Perhaps it was a coach, or a professor, or a family friend. For Joanne Lipman and Melanie Kupchynsky, that person was a public-school music teacher, Jerry Kupchynsky, known as Mr. K--a Ukrainian-born taskmaster who yelled and stomped and screamed, and who drove his students harder than anyone had ever driven them before. Through sheer force of will, he made them better than they had any right to be. Strings Attached tells the inspiring, poignant, and powerful story of this remarkable man, whose life seemed to conspire against him at every turn and yet who was able to transform his own heartache into triumph for his students. In this first episode of Radio Collage, we hear everything from Shakespeare to Blue Rondo a la Turk, performed by students at the Interlochen Arts Academy. Popular music has had stellar examples of singer/songwriters who met in school...whose partnership began at a very young age. John Lennon and Paul McCartney met when John was 16 and Paul was just 15. Paul Simon and Art Garfunkel met in grade school. They were 12 years old and had their first hit record, "Hey Schoolgirl," when they were just 16 years old. Now we want you to meet a Michigan duo who are getting a lot of buzz for their indie-folk songs, The Accidentals. The Accidentals are Katie Larson and Savannah Buist, who met at the Interlochen Arts Academy. They are 18 years old, and they joined us today from Traverse City. Happy Holidays! 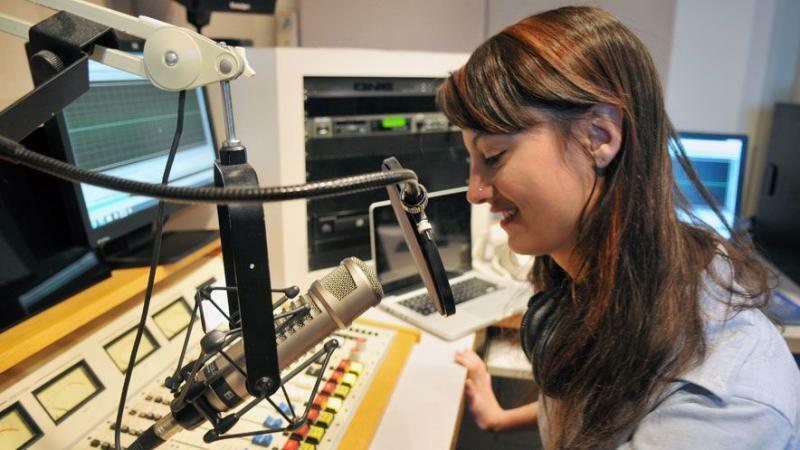 We asked IPR staffers to share their favorite holiday music with listeners this season. 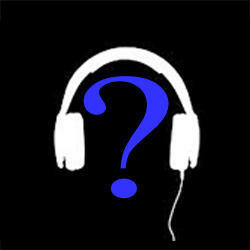 If you're in the Seasonal Mood, try out this playlist of tunes we love. Play the music from your computer anytime. All you need is a free Spotify account.